Portarlington Road and Close, Westbourne. 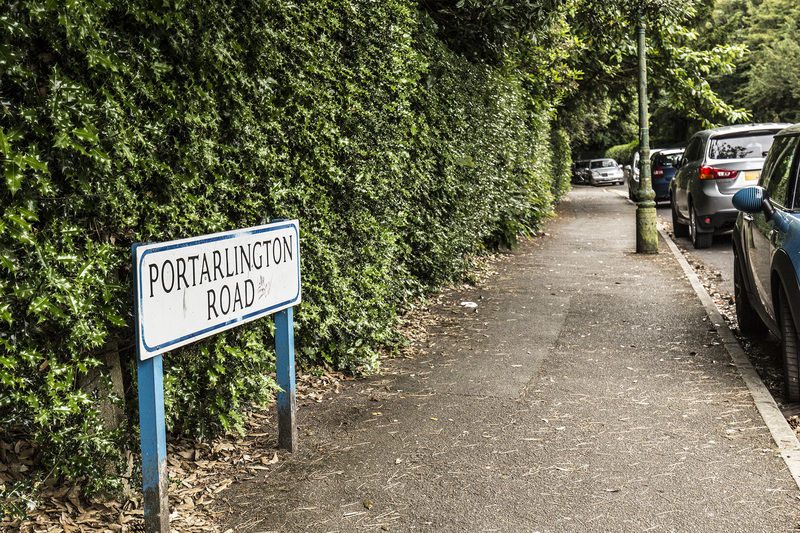 Portarlington Road is residential, running mainly east-west parallel with and south of Poole Road. However, it starts by heading almost south from Marlborough Road, before heading west. It is almost a thoroughfare of two halves. The eastern end, running from Marlborough Road to Clarendon Road still consists largely of the Victorian villas that would have been typical of the area. Just on the bend, another, private, drive continues south. This is Portarlington Close, and houses a small estate of terraces known as The Boltons. Continuing west, almost all of the original Victorian villas have given way to modern blocks of flats. These are of mixed designs, and although maybe not as visually pleasing as the original properties, they are nonetheless not unattractive. Almost at the westernmost end, two original villas, one each side and almost opposite each other, survive. However, they have been subdivided into flats themselves. At the eastern end, one of the properties (No 4, Westover), is Grade II listed. Built around 1900, this retains a number of original features.